Type of product: Detergent face foam, suitable for all skin types, ideal for oily-prone skin. The presence of allantoin, althea and mallow extract give an effective moisturizing, soothing, anti-reddening and lenitive action. Excellent tolerability. Directions: A soft foam for face cleansing. Ingredients (INCI): Aqua, sorbitol, decyl glucoside, sodium lauroyl oat amino acids, glycerin, allantoin, althaea officinalis extract*, malva sylvestris extract*, phenoxyethanol, pvp, sodium coco-glucoside tartrate, parfum, sodium benzoate, sodium dehydroacetate, potassium sorbate, sodium phytate, benzoic acid, coumarin, ethylhexylglycerin, linalool. How to use: Spread a thin layer of mousse cleanser on face and neck, massaging gently with fingertips, paying attention to the eyes. Remove the residue with a cotton ball. Do not rinse. After use, close the package perfectly. Keep the product away from direct light, heat sources and out of reach of children. For external use only. Allantoin (Allantoin): Allantoin is present in nature especially in Comfrey (herbaceous plant, its scientific name is Symphytum officinale). And it has moisturizing, reddening, soothing actions. Althea Organic Extract (Althaea officinalis extract*): This extract is rich in mucilage (composed of rhamnose, galactose, galacturonic acid), flavonoids (quercetin, kaempferol) and minerals. It has emollient, decongestant, mineralizing, lenitive functions. Organic mallow extract (Malva sylvestris extract*): The mallow extract is rich in mucilage, tannins and anthocyanins (malvin and malvidin); it functions are soothing, softening and refreshing. Glucosides (Decyl glucoside): Surface active, derived from starch, with a good cleaning power. Oat Amino Acids (Sodium lauroyl oat aminoacids): Product obtained by acylation of characteristic oats amino acids. 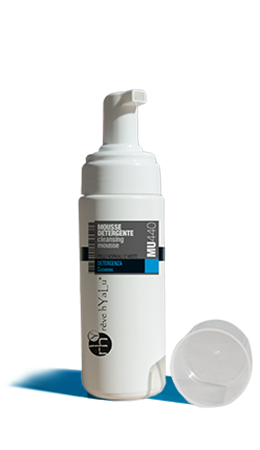 It’s a surface active not irritant that finds application in particularly delicate formulations.It has a good foaming power and a physiological cleansing action. Sorbitol (Sorbitol): Sorbitol is a polyol derived from sugar, occurring naturally in many fruits. It is used for its humectant properties.